Where Can I Order Custom Moulding? Custom moulding refers to architectural millwork crafted to particular material and design specifications. Most of the millwork products offered by big box stores in the United States are what is called stock moulding. This type of moulding is typically widely available and comes in a limited number of design and material options. For instance, if you wanted crown moulding made of wood instead of plastic and wanted it in an ornate design profile, you may find that while your neighborhood big box carries wood crown moulding, it’s available only in walnut or maple, and the design you prefer is available only in plastic. Limited choices like this can turn even the simplest interior design project into a time-consuming and daunting proposition. Thankfully, there are companies out there that offer custom moulding products in a variety of options. Builders, remodelers, and interior designer have relied on these providers for projects of all kinds. The next time you find yourself admiring the elaborate curlicues or rich tones of a hotel lobby’s crown moulding, you can safely bet that it was a custom designed piece. All of these products are available in several options of wood species, from warm American cherry to hardy maple to heavy oak. And, all of our lumber options can be painted or stained to suit your design aesthetic. We also offer a custom design service. 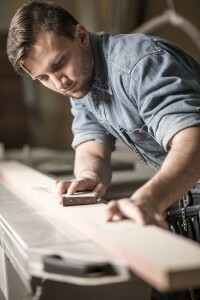 Just send us a drawing of the design you have in mind – for any of our moulding products – and our experienced craftsmen will get to work turning your vision into gorgeous reality. No matter what product, design, or wood type you choose, you can expect a speedy turnaround, because we give all orders immediate attention to avoid any delay. For more information our moulding products, contact Classic Mouldings today. If you need custom moulding, this is the business you go to. I have just inspected the material and it looks perfect. Just about everything you've done for us has come out perfect on the first run, I think. I've been very impressed. Hopefully we can start handing you some more volume. Wanted to let you know we received the delivery in good order today. Your driver was exceptionally professional and an excellent representative for your business. Very impressive. The moulding looks great and your customer service has been great. Thanks so much! TJust started working with my moulding and it's perfect. Thanks so much for all of the great work! I really appreciate it! © 2019 Classic Mouldings. All Rights Reserved. What is the Purpose of Crown Moulding? Where Can Builders Buy Top-quality Crown Moulding? Where Can I Buy Custom Base Trim? Where Can I Buy Custom Crown Moulding? Where Can I Order Custom Architectural Millwork? Where Can I Order Decorative Moulding? Where Can I Order Different Moulding Profiles? Where Can I Order Different Styles of Moulding? Where Can I Order Quality Door Casing? Why Use Door and Window Casing?